Growing up in Wembley Downs and Doubleview, I’m well aware of the fantastic opportunity the coastal lifestyle provides. Still currently living in Wembley Downs with my wife Lisa and two sons I love the community spirit of this great area. Real Estate has always been a passion of mine, purchasing my first property at 19 with a natural progression into investment properties and residential developments. Being a real people person, it was a only a matter of time before making the move full time into the world of real estate. I have a true passion for my career having a Diploma of Property, Triennial certificate along with being a licensed auctioneer. But most of all it is the relationships I have made through this job that I value and love the most. People first and ensuring expectations are met has always driven me to get the best results possible for my clients. Gaining a vast and varied amount of real estate and business experience it was an easy decision to open Harcourts Empire to build an even closer bond with past, present and future clients. Community involvement has always been a passion of mine being honored with Life Membership to the Wembley Downs Junior Football Club in 2014 along with previous recognition for efforts to the community through the City of Stirling Valued Volunteer Award. When not working I do like to take advantage of our beautiful state where you will find me surfing, fishing, boating or having a game of golf. Family time is very important to me along with travel and generally enjoying all that our community has to offer. I always welcome the opportunity to speak with past clients or with people I haven’t met and look forward to speaking with you soon. Let me begin by saying how happy I am to be involved as a Sales Partner in the fresh new Harcourts Empire office. I have a wealth of knowledge of the area and have ample community ties from living and working in real estate within the area for years. I live in Karrinyup with my partner, Lee, and our two dogs. I grew up in Scarborough and have lived throughout the western suburbs and coastal region for most of my life. I was educated locally at Hale School before studying Commerce, and then completing Journalism at Curtin University of Technology. Following this I moved to Melbourne and worked in digital marketing and account management for a newspaper corporation before moving back to Perth to begin my career in property. I've built a strong contact base over my career and I'm humbled to continually work with repeat clients. My honest, down-to-earth and vibrant personality along with my drive to achieve premium results makes me the best person to represent you with your sales needs. I strive to get the best results for my clients and particularly take pride of my communication and firm and transparent negotiation skills. I also have firsthand experience with property having owned, renovated and sold multiple properties of my own. Outside of work, I absolutely love playing golf, staying fit and active, music, food, and exploring the local area I live in – especially testing out the new cafes that continue to pop-up. I look forward to meeting you and to provide friendly and professional real estate advice to you and your family. As a resident in the Scarborough area for over 30 years, I have seen many exciting changes in the Scarborough and Wembley Downs area and I am really thrilled to be part of the HARCOURTS EMPIRE team as a Sales Executive. I now live in Wembley Downs with my wife and three children who attend schools in the close vicinity. I have always had a passion and eye for property and over the years have owned homes, had many investment properties and just recently I was involved in the build of our current home in Wembley Downs, which I thoroughly enjoyed. After a long and enjoyable history in business through the surf industry, I was awarded the ‘Len Dibben Award’ in 2009 for my ‘Outstanding service towards the development of surfing’. I’ve always loved interacting with people, and this kept me in touch and my finger on the pulse with ‘coastal living’. My family and I feel strongly about giving back to the community through our direct involvement with the Saba Rose Button Foundation, of which I am honoured to be a Trustee, helping special needs children to access intensive rehabilitation, equipment and respite. I am a member of and involved in the Scarborough Beach Association which allows me to keep up to date with the developments of the Scarborough precinct. In my down time I enjoy sharing time and experiences with my family, spending time in the water, reading and playing golf. I hold integrity, transparency and honesty high in regard and always work to provide the best outcome for my clients. I feel I am an approachable and ‘down to earth’ person who can help you in making your real estate decisions with clarity and confidence. I look forward to continuing my relationship with my past, present and future clients through the HARCOURTS EMPIRE experience. Having been involved in Real Estate as well lived in and around Scarborough my entire life it is with great excitement that I joined the team at Harcourts Empire in the roll of BDM. My husband and I enjoy bringing up our sons in the same neighbourhood we both were raised. We’ve certainly taken advantage of the various sporting and community opportunities and, of course, the unique coastal life this area offers. My diligence and commitment together with years of experience as a Relocation Consultant set me in a great position to recognise what a great tenant is in search of and I look forward to securing the most positive rental experience for all involved. 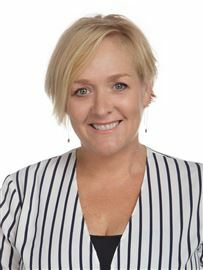 After graduating with a Bachelor of Business majoring in Marketing and Event Management, Paige completed her sales registration course at REIWA and began her full-time career in Real Estate in 2016. Since entering the industry she has worked in a variety of roles where interacting with clients has seen her gain tremendous experience and enjoyment. 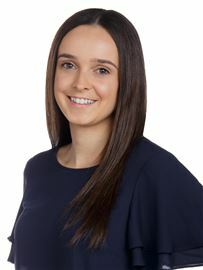 Paige began working as an Executive Assistant to Matt McWaters at Harcourts Empire in 2018. Hard working and goal focused, Paige is dedicated and passionate about achieving the best results for her team’s clients.